Vijay’s father was a taxi driver. One day he went to work as usual, but did not come back home. The family was shocked and confused. Vijay’s mom was pregnant with his little sister when her husband disappeared. Suddenly she found herself as a single mother of two children. Since then, she has struggled just to provide a little food for the family to eat. Often widows and single mothers resort to begging or worse are often targets for human traffickers. Mrs. Subbayamma knows the importance of Vijay getting a good education so that he can escape the chains of poverty, but with her little income, she can’t afford it. Sponsored children receive benefits and have opportunities they most likely would never have without your intervention. 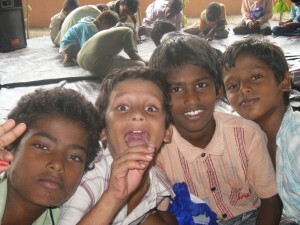 Your sponsored child will receive an education, which is out of reach for people who live in impoverished conditions. Initially when you sponsor a child you will receive a profile and a picture of your child. Health improves and the children grow stronger as they receive nourishing balanced meals daily. Your child will develop socially through interaction with others from various walks of life, and their confidence level will rise with the realization and understanding of God’s love. They are protected from slave traffickers because they are now accounted for and if they don’t show up for school someone will check on their whereabouts. That ties in with the most important benefit your sponsored child will receive, which is a consistent testimony of the Gospel. Most of the children in our schools do not come from Christian homes, but many come to Christ through the ministry of the teachers and school staff. These children then take the Good News back to their families who often come to Christ themselves. 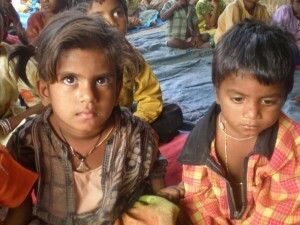 If you would like to invest in the life of a child and bring them hope for the future click here.